The wind energy industry is bringing billions in private investment, and tens of thousands of well-paying jobs, to rural and Rust Belt communities across the United States – helping them attract business and pay for roads and schools. And wind power is pollution-free. Wind works for America. Wind power has created well-paying jobs for over 114,000 Americans. Wind turbine technician is the second fastest growing job, increasing by 96 percent over the next decade, and the U.S. wind industry employs America’s veterans at a rate 67 percent above the national average. Made-in-the-USA manufacturing contributes to wind’s affordability. Over 500 factories in 41 states in the U.S. supply chain help avoid shipping large, heavy turbine components over longer distances. The average price of U.S. wind power declined by 69 percent in the last seven years. Technological advances that allow turbines to reach stronger, steadier winds, and over 30 years of experience in siting wind turbines to maximize their power output, have helped drive down costs. Wind energy is holding down consumers’ electric bills across the country, as utilities flock to add more to their portfolio at fixed prices for up to 20-25 years and hedge against uncertain fuel costs. It’s like having a fixed-rate mortgage instead of an adjustable-rate mortgage. U.S. wind power is increasingly cost-competitive with all other forms of electric generation, including shale gas at today’s low prices, and factoring in the incentives that all forms of energy receive. A diverse portfolio helps insulate consumers from price shocks when prices for fuel go up. Wind energy requires no fuel but the wind, which is free. America can get 20% of its electricity from the wind by 2030, a projection from the George W. Bush administration which the U.S. Department of Energy recently updated. 60 percent the value of U.S. wind farms in now made-in-the-USA. Wind energy has become a new drought-resistant cash crop for America’s family farmers and ranchers, using no water, and paying millions of dollars a year in lease payments and local taxes in the typical state. Wind has driven over $143 billion of private investment into the U.S. economy over the last decade. American wind power fosters economic development in all 50 states. Wind plants leave 98-99% of a property-owner’s surrounding land free for other uses such as farming, ranching, wildlife habitat, and recreation. As a result, producing enough wind electricity to power 35% of the grid would use less land than one-third of the country’s golf courses. Wind energy is among the fastest, cheapest, largest-scale ways to reduce carbon pollution today. U.S. wind power avoids the carbon pollution of 43 million cars. By expanding to 35 percent of the grid by 2050, wind energy can cumulatively avoid more than 12.3 billion metric tons of carbon pollution, equivalent to one-third of global annual carbon emissions. Wind-rich states can profit from meeting new environmental standards for power plants by selling this solution to pollution. Do all forms of energy receive federal support, and how much does each source get? THE TRUTH: Fossil fuels have received many times more in incentives than renewables. Wind’s primary incentive is the Production Tax Credit, a performance-based incentive that reduces the tax burden on private investment. Fossil fuels in their start-up period got five times more in government incentives than renewable energy has, and nuclear got 10 times as much. Over the last 100 years, American taxpayers have paid over $500 billion to subsidize the fossil fuel and nuclear industries. Many of these incentives are permanent, making them more valuable to investors, and these incentives continue to this day. “For more than half a century, federal energy tax policy focused almost exclusively on increasing domestic oil and gas reserves and production,” the Congressional Research Service noted. From 1950-2010, 70 percent of all energy subsidies went to fossil fuels, with less than three percent going to wind power, according to the Nuclear Energy Institute. With tax relief, investment in clean wind energy is encouraged, providing communities billions in local and state taxes. What’s the difference between how Europe and the U.S. grow wind power? THE TRUTH: Comparing policy growing wind power in Europe to policy in the U.S. is an apples-and-oranges comparison. Wind turbines in the U.S. are roughly twice as productive as Germany’s on average. Thanks to our world-class wind resources, wind energy costs far less in the U.S. than in Europe. Europe sets a fixed price for renewables above the market price and requires that grid operators use wind before other resources. Neither of those policies exist in the U.S. Our production and market-based policies reward results. Large amounts of wind energy are being reliably integrated in Europe, drastically reducing pollution across the continent. Wind is steadily reducing Germany’s emissions, and these reductions would have been even greater had Germany not also shut down many of its nuclear power plants for unrelated reasons. Other European nations obtain 15-30 percent of their electricity from wind energy, allowing them to reduce by half their electric sector carbon emissions per amount of electricity generated over the last 10 years. Providing Germany’s wind generation in 2012 with gas generation instead would have required around 400 billion cubic feet of gas, 1/3 of Germany’s total gas imports from Russia. How does wind energy save consumers money and why is this entirely market driven? THE TRUTH: The Production Tax Credit is almost never factored into wholesale market prices. Wind energy does reduce electricity costs for consumers by displacing more expensive forms of energy, but this occurs only because wind has no fuel costs. This impact is entirely market-driven, is widely seen as beneficial, and occurs for all low-fuel-cost sources of energy, including nuclear. The wind Production Tax Credit (PTC) is almost never factored into the electricity market prices that other power plants receive. Regardless of whether a wind plant receives the PTC, the wind plant does not have the highest operating cost and therefore does not set the market price. Negative electricity prices are extremely rare and are highly localized in remote areas where they have little or no impact on other power plants. Across the U.S., much-needed transmission upgrades are eliminating the remaining instances of negative prices. For example, transmission bottlenecks, periods of low demand, and low-priced shale gas combined have a 1,450 times greater impact on Exelon’s nuclear plant revenue than all instances of negative prices, most of which were actually caused by Exelon’s nuclear plants and not wind energy. How does wind energy help keep the lights on? THE TRUTH: Grid operators already reliably integrate large amounts of wind energy. Wind energy only marginally increases total power system variability, as most changes in wind energy output are cancelled out by opposite changes in electricity demand or other sources of supply. A large power plant can shut down abruptly at any time, forcing operators to keep large quantities of fast-acting, expensive reserves ready 24/7. Wind changes tend to be gradual and predictable, making them far less costly to accommodate using less expensive slower-acting reserves. When wind turbines are spread over large areas, their output becomes far more constant and even easier to accommodate. Wind reliably provides more than 20 percent of the electricity in Iowa, Oklahoma, Kansas, North Dakota, South Dakota and Maine and more than 10 percent of the electricity needs in 14 states. 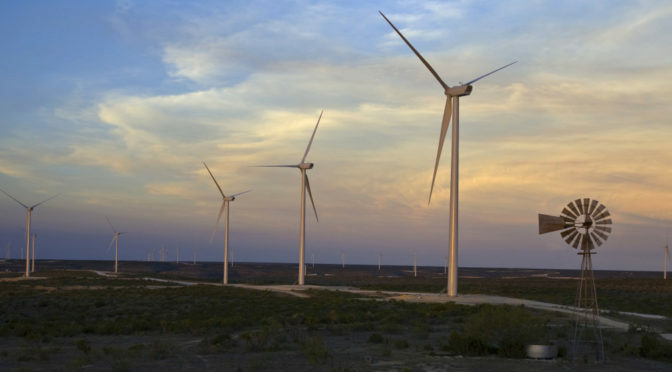 At certain points in time, the main Colorado and Texas power systems have obtained more than 60 percent and 50 percent of their electricity from wind energy. Using their sophisticated controls and power electronics, modern wind plants can provide the same grid reliability services as conventional power plants, in many cases better than conventional plants. How does wind power save money for American families and businesses? THE TRUTH: Wind power is affordable and helps hold down the price of other fuels. Wind’s cost has declined by 69 percent over the last decade, with improved technology and U.S.-based manufacturing, “making it competitive with other energy sources” and the cheapest source of new electricity in many parts of the country. Renewable energy is uniquely able to offer fixed-priced contracts because renewable energy has no fuel cost and therefore no fuel price risk. Utilities and consumers like wind because it “acts as a hedge against future volatility of natural gas prices,” much like a fixed-rate mortgage protects homeowners against interest fluctuations. A study found that states with greater use of renewable energy have lower electricity prices, and that states with Renewable Portfolio Standards have seen smaller electricity price increases than states without those policies. Wind power and solar power are the fastest growing sources of electricity in America and worldwide. We need reliable power at all times, so what happens when the wind doesn’t blow and the sun doesn’t shine? How does wind power help keep more eagles alive? THE TRUTH: Eagle fatalities are relatively uncommon. Bald eagles are almost never impacted by wind farms, and 90 percent of projects have zero effects on golden eagles, a different type of bird. Still, the wind industry is doing more than any other known mortality source to find ways to reduce its comparatively small impact—and even find ways offset others’ impacts. While an extremely unfortunate event that the wind industry takes very seriously, eagle fatalities are a rare and random occurrence at wind energy facilities. Only a few bald eagles in the four-decade history of the industry have ever been impacted by wind projects. Studies of publicly available data of all known golden eagle fatalities indicate collision with turbines at modern wind farms is responsible for less than 3 percent of documented human-caused deaths of golden eagles (a very different type of bird than the bald eagle). Vastly greater amounts of eagle deaths come from electrocutions, vehicle strikes, lead poisoning, drowning in stock tanks, illegal shootings, and other sources. However, no one takes the issue of eagle losses at wind farms more seriously than the wind industry itself, and we have and will continue to work with regulators and the conservation community to reduce these impacts further. Eagle fatalities only occur at a very small number of wind farms across the country, and a significant mortality rate at individual sites is even rarer. Most happen at the earliest U.S. wind farms, built in California in the 1980s. Developers did not fully understand the relationship between eagles and turbines at that time. Modern turbines are replacing the outdated equipment at these early projects, causing eagle fatalities to fall by 75 percent at these sites. The U.S. Fish and Wildlife Service’s 30-year eagle incidental take permit program (available to all sources of eagle mortality and not just the wind industry), is at its heart a conservation program. The program aims to provide limited legal certainty to otherwise lawful activities that may take an eagle, but only after first taking steps to avoid and reduce the potential impacts, and then fully offsetting any remaining impacts associated with the loss of an individual bird. The program is based on the same principles as the Endangered Species Act, which is considered the “gold standard” of species conservation. The wind industry proactively supports research on eagle populations and trends, their behavior, and identifying means for reducing not only our industry’s impacts but those of others. Through regulatory requirements and improved siting practices, voluntarily undertaken by the wind industry to further reduce impacts, researchers evaluate risk to eagles before projects are sited and built. Further, operators monitor for any potential impacts after construction, and if any are identified, take steps to avoid, reduce and mitigate them. All of these actions provide meaningful measures to ensure wind energy and eagles successfully coexist. THE TRUTH: Wind power is far less harmful to wildlife than traditional energy sources it displaces? — including to birds and their critical habitats. It is one of the only energy sources without population-level impacts, such as climate change-related habitat loss. Overall wind causes less than 0.01 percent of all human-related bird deaths. No form of energy generation is free from impact. However, studies have shown wind energy’s impacts to be the lowest, as it emits no air or water pollution, requires no mining or drilling for fuel, uses no water in the generation of electricity, and creates no hazardous or radioactive waste requiring permanent storage. Incidental losses at turbine sites will never be more than an extremely small fraction of bird deaths caused by human activities—an estimated 134,000-230,000 of the more than 5 billion small passerines in North America according to the most comprehensive analysis to date. Other causes include buildings (550 million), power lines (130 million), cars (80 million), pesticide poisoning, (67 million), and radio and cell towers (6.8 million). Even with its relatively low impacts, the wind industry is held to a higher standard and does more to study, avoid, minimize, and mitigate any wildlife impacts than any other industry. Resulting conservation programs by wind developers save habitat and help protect birds. “You can’t be against renewable energy, wind and solar, if you are for protecting birds,” said David O’Neill, chief conservation officer at the Audubon Society. THE TRUTH: The wind industry is actively engaged in groundbreaking research to reduce bat collisions at wind farms. As a clean energy source, wind is one of the most compatible with wildlife. The wind industry has taken a systematic approach to identifying potential impacts on bats and other wildlife, and is engaged in initiatives to reduce, if not eliminate, those impacts. The Bats and Wind Energy Cooperative (BWEC) was formed in 2003 by Bat Conservation International, the U.S. 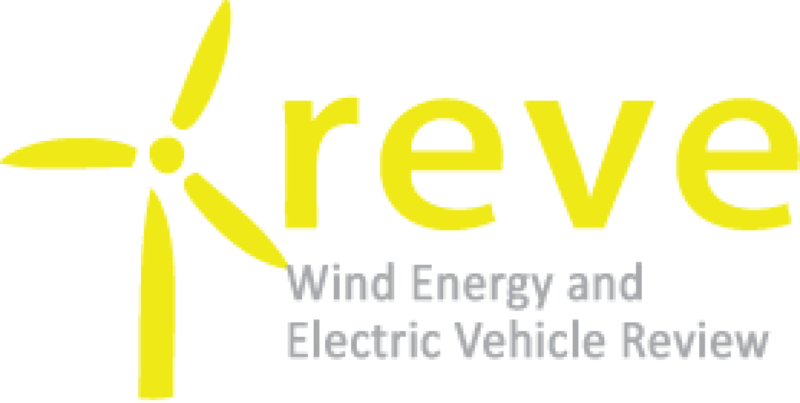 Fish and Wildlife Service (USFWS), AWEA, and the Energy Department’s National Renewable Energy Laboratory. BWEC researches bat losses at wind energy projects and is actively investigating several promising techniques to reduce them, such as acoustic deterrents and potential mitigation through changes in operations. The wind industry is helping to fund research into White-Nose Syndrome, a fungal disease, which has devastated cave dwelling bats throughout the Northeast and Midwest and is viewed by experts as the single greatest near-term threat to their populations. How does wind power help military base communities prosper? A Department of Defense (DOD) Siting Clearinghouse and local base commanders review any project built near a military base, and the existing review process works. Unnecessary regulation hampers the ability of American wind power to attract investment and supply reliable power to more Americans, including the military itself and any project that could impact a base. In the sole instance when a wind developer could not mitigate a potential impact, and therefore the DOD objected, the developer abandoned the project and moved on. No project opposed by DOD has been built. And no missions or trainings at bases have changed due to the tens of thousands of turbines deployed today. Wind farms have existed successfully near some military bases for years, like the Minot Air Force Base in North Dakota and the Travis Air Force Base in California. At the F.E. Warren Air Force Base in Wyoming and the Cape Cod Air Force Base in Massachusetts, the Air Force built wind turbines onsite, citing low energy costs as the primary reason. The armed services have encouraged renewable energy development, instituting a 25 percent renewable energy by 2025 goal. Improving mission readiness, enhancing energy security, and cutting operational energy costs were all cited as reasons for the standard. Unnecessary regulation hampering wind farm development could cause communities near military bases to lose out on millions of dollars in lease payments and billions of dollars of private investment. How do wind farms help communities thrive? THE TRUTH: Long-term, comprehensive studies show wind power doesn’t affect property values. Rather it is a driver for economic development in the host communities and supports local municipal services that benefit all property owners. Human development of all kinds—not just wind power development—can both positively and negatively affect property values. The most comprehensive study to date, published in a peer-reviewed journal in 2015 by researchers from the Lawrence Berkeley National Lab (LBNL), the Federal Reserve Bank of Kansas City, Texas A&M University and San Diego State University, and involving data from more than 50,000 home sales among 27 counties in nine U.S. states concludes: “We find no statistical evidence that home values near turbines were affected in the turbine post-construction or post-announcement/pre-construction periods. LBNL has conducted two other major studies on this topic (in 2009 and 2013), and in all cases, found no statistical evidence that operating wind turbines have had any measurable impact on home sales prices. Wind projects bring substantial new revenue that can be used to improve local schools and help keep local taxes low, two of the most important factors influencing home values. How does science show wind power is safe for my community? THE TRUTH: Shadow flicker is predictable, harmless, and passes quickly. It is based on the sun’s angle, turbine location, and the distance to an observer; it can be avoided by several methods. With modeling, shadows from moving wind blades are predictable and turbines can be sited to minimize flicker to a few hours a year. Shadow flicker typically lasts just a few minutes near sunrise and sunset and can be addressed through use of proven mitigation techniques such as screening plantings. The rate at which wind turbine shadows flicker is far below the frequency that, according to the Epilepsy Foundation, normally is associated with seizures. An expert panel for the National Academy of Sciences found shadow flicker “harmless to humans.” A study commissioned by the Massachusetts Departments of Environmental Protection and Public Health found that according to scientific evidence shadow flicker does not pose a risk for causing seizures. How does technology create safe wind farms? THE TRUTH: A fire at a wind turbine is a rare event, and extensive precautions are taken. Photos on the Internet consist of a handful of incidents over decades of operation of hundreds of thousands of turbines around the world. Even such sophisticated equipment, subject to constant motion and sometimes challenging environments, can sometimes fail. Safety measures to prevent fires include systems that change the pitch of blades to prevent over-speed, temperature monitors and automatic shut-off systems to prevent over-heating, lightning protection and arc-flash detection, and remote shut-down. Emergency plans include advance planning and training with local responders. Sensors and data acquisition systems make it possible to analyze why a turbine shuts down or fails. This leads to continuous improvement in technology, operation and maintenance, and very few such failures. THE TRUTH: Independent studies conducted around the world, including the U.S. have consistently found no evidence that wind farms cause any negative physical health effects. Typically, two people can carry on a conversation at normal voice levels even while standing directly below a turbine. Thousands of people worldwide live near wind farms with no ill effects. Emitting virtually no air or water pollution, wind energy is essential to reducing energy-sector public health impacts. Studies have found that a “nocebo” effect can take place, the opposite of the well-known “placebo” effect. The nocebo effect describes a situation in which individuals who are led to expect physical symptoms may actually experience these symptoms, whether or not the supposed cause of the symptoms is actually present. In this case, increased exposure to misinformation about wind actually seems to increase the likelihood that certain individuals will report negative health effects such as headaches or nausea, although no scientific evidence shows wind turbines cause any such health effects. How does wind power help keep our air clean? THE TRUTH: Wind power is one of the biggest, fastest, cheapest solutions to carbon pollution and the climate changes it contributes to. U.S. wind power avoids the carbon pollution of over 43 million cars. A typical wind project repays its carbon footprint in six months or less, providing decades of zero emission energy that displaces fossil fuel energy. The National Renewable Energy Laboratory reviewed all published research and concluded that wind energy’s carbon footprint is a fraction of all fossil fuels’ and even lower than nuclear and most other renewable energy sources. Every study by utilities, independent power system operators, and government entities has found those pollution reductions are as large or larger than expected. Comprehensive analysis of real-world power plant emissions data found that each megawatt hour (MWh) of wind energy on the Western U.S. power system reduces carbon emissions by 1190 pounds. Wind’s marginal impact on power system variability only reduced those savings by 2.4 pounds, with wind providing 99.8 percent of the expected emissions savings. Wind’s “fuel” is free, so electric grid operators use wind power to displace an equal amount of energy from the most expensive operating power plant, which is almost always the least efficient fossil-fired power plant. How do we keep wind farms modern? THE TRUTH: History shows that old turbines are removed and replaced. Sheer economics drive this practice—the site remains available for energy production and turbines have a high salvage value. Older wind turbines performed well for their time, but are now being replaced with new, more efficient models. While 1980s-vintage turbines remain in three California passes—Altamont, Tehachapi, and San Gorgonio—where the first commercial wind farms were installed, thousands have been removed. Many more are scheduled for “repowering” by today’s major wind companies in the next few years since the wind resource is excellent there. Removal costs typically are more than covered by the salvage value of spare parts and scrap metal, as a detailed study in West Virginia found. Why does growing offshore wind power in the U.S. make sense? THE TRUTH: Offshore wind has many benefits and offers a new energy opportunity for America. America’s first offshore wind farm came online in 2016, and a stable investment tax credit is critical to help launch this industry. Offshore wind is an established global industry with over 8,771 megwatts (MW) of installed capacity (as of 2014), which is projected to more than double by 2020. Offshore wind is a vast American energy source close to population centers and corresponds to periods of high demand, when wholesale electricity prices tend to be most expensive. Offshore wind prices can be locked in for 20 years or more, acting as a hedge against volatile fossil fuel prices. The Department of Energy found that the U.S. could install a total of 86,000 MW of offshore projects by 2050, creating jobs in coastal communities. Offshore wind costs will likely come down as the U.S. industry reaches economies of scale; the cost of land-based wind energy dropped by 66 percent between 2009 and 2014.